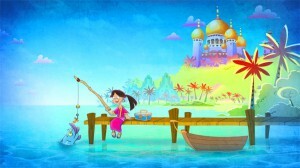 Paris-based PGS Entertainment has secured a distribution deal with Vancouver-based Big Bad Boo Studios for its Arabian-themed 2D-animated series 1001 Nights. 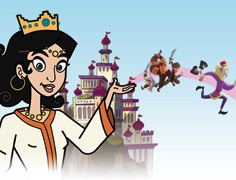 The 52 x 11-minute comedy adventure series, which is launching in more than 60 countries in 15 languages this year, features heroine Shahrzad and stories of the famed 1001 Arabian Nights (including Sinbad, Aladdin, and Ali Baba). 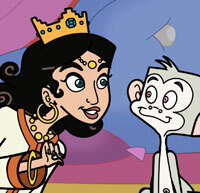 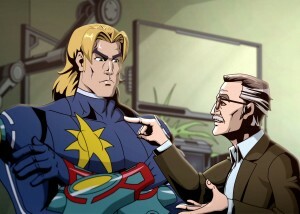 Broadcaster currently airing the series include Teletoon and CBC Radio Canada (Canada), Disney (South Asia), ORF (Austria), RTP (Portugal), Al Jazeera Children’s (Middle East), eJunior (UAE), Global TV (Indonesia), Media Corp OKTO (Singapore), MTV3 (Finland), NOGA (Israel), E-Vision (Middle East), Top Insight (Taiwan), Lider TV (Azerbaijan), and Chutti TV(India). 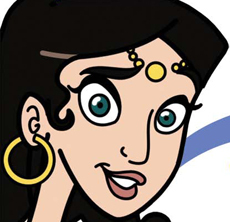 Big Bad Boo’s pre-production plans are already underway for season three, five comic books have been published in multiple languages, and novels, additional comics, mobile apps and games are in the works for the IP.